“Tho dia” in Vietnamese means a person who knows everything. Thodia looks to harness the collective expertise and experiences of its members to create the most comprehensive, up-to-the-minute, “know-it-all” guide to life in Vietnam. Within 12 months of launching, the site had already generated over 1 million reviews and articles from volunteer reviewers. 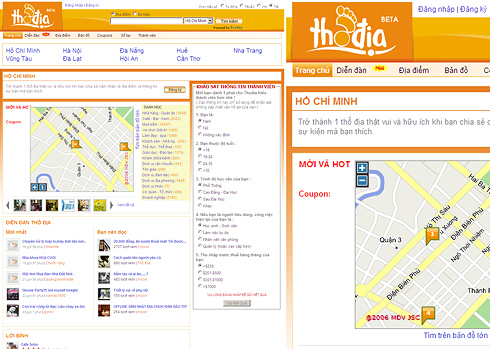 Member-created listings and reviews of the best (and worst) shopping, dining, entertainment, education in most of the major cities across Vietnam and more give Thodia users a true insider’s edge. Member forums keep the conversations going.